Quality, comfort, convenience, privacy and location are all words used to describe 111 Veronese Drive. 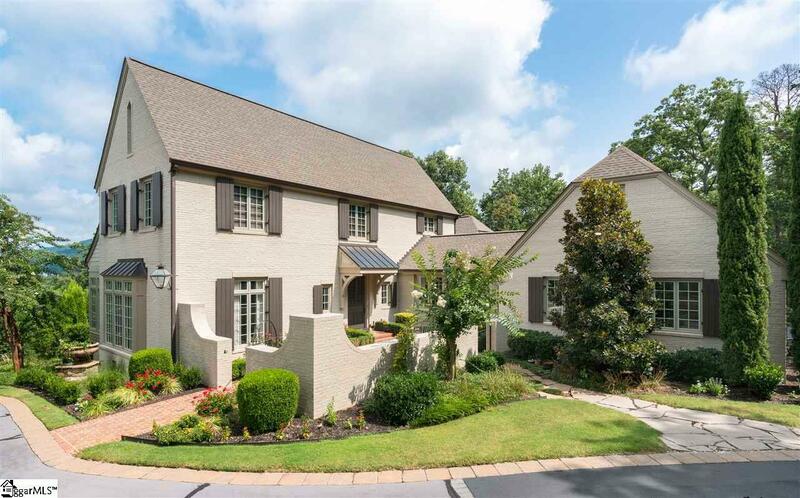 Custom built by award winning Peery Homes and masterfully designed by renowned architect Mark Maresca, this home has curb appeal galore. Situated on a gently sloping home site with gorgeous mountain views to Paris Mountain, Table Rock, Ceasars Head and the Blue Ridge Mountains, the location is ideal. 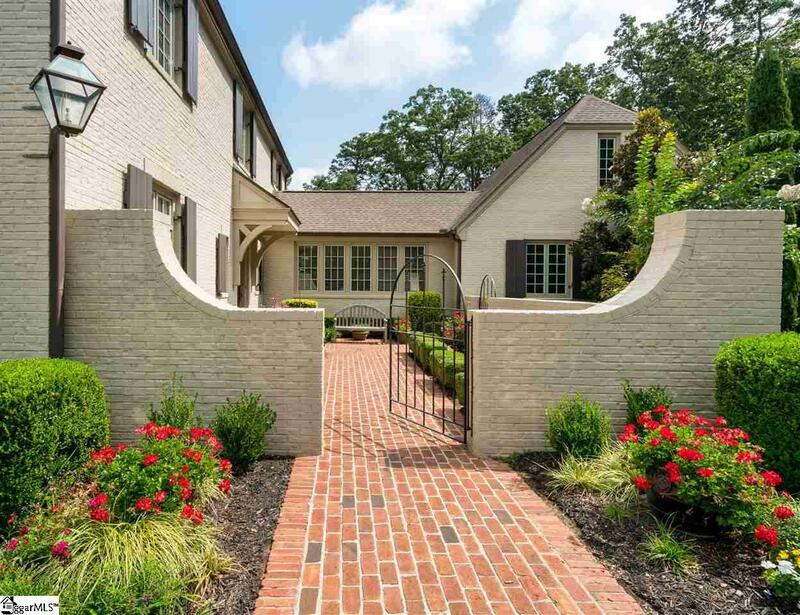 The gated, walled courtyard entry leads to the front door through mature landscaping and charm. The ambiance of refined understated elegance of French country inspired living is established. Inside, the quality and views are obvious through arched windows in the great room. This vast room also features a vaulted, wood-plank-and-beam ceiling and a limestone fireplace with custom molding soaring to the ceiling. The spacious kitchen is anchored by a large granite island with sink. Glass fronts accent upper cabinets, while premium appliances -- oven, gas cooktop with stainless steel hood, warming drawer, microwave, built-in refrigerator, and walk-in pantry indulge the gourmet. The large breakfast area is another wonderful place to enjoy the views and has access to the large deck that features a retractable awning. The large dining room is perfect for entertaining and steps away is the sun room for a cozy place to unwind. The master suite incorporates a visually stunning vaulted ceiling with plank and beam ceiling and also has access to balcony. In the master bath, his and her vanity sinks, built-in cabinetry, jetted tub and large walk-in shower are exquisite touches for the master suite. The homes main level provides numerous additional spaces: a study with built-in shelves, gorgeous windows to enjoy the view, access to another beautiful outdoor area with a stone patio; powder room; laundry room with tons of cabinets and a 2-car garage. The upper floor features two spacious bedrooms with jack and jill bath and spectacular views. The lower level maintains the homes exacting standards. The large rec room opens to the wonderful grounds and has access to the newly installed putting green for the golfer in your family. A sizable bedroom and full bath complete the lower level. Outdoor living areas inspire. 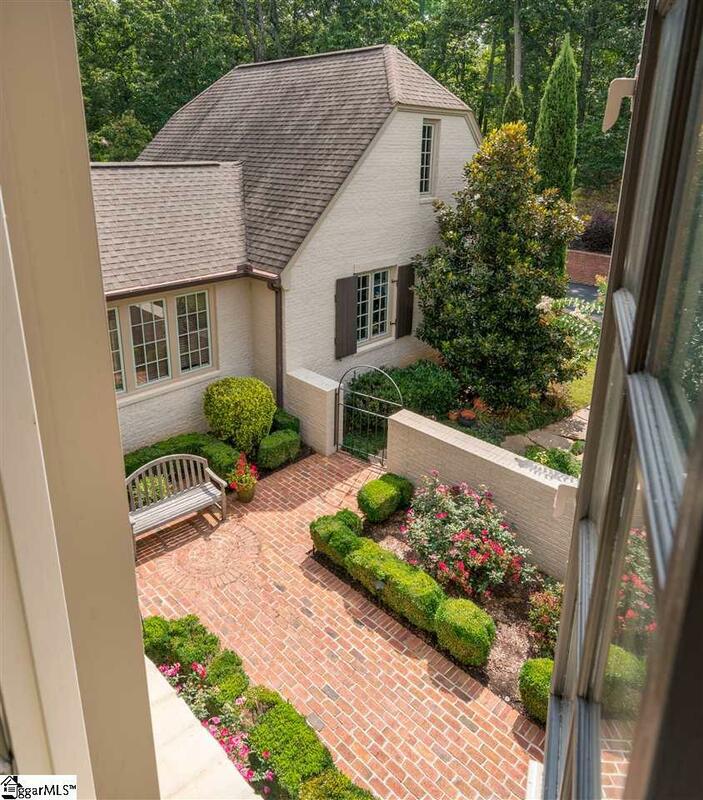 The main level enjoys a picturesque courtyard, large deck to enjoy the beautiful views and mature landscaping plus the hidden stone patio just off the study featuring privacy and scenic beauty, while the lower-level offers meandering stone pathways, patio with putting green. Other quality features of this lovely home include: an encapsulated crawl space, outdoor exterior lighting, full yard irrigation system, security system, new HVAC 2018, dehumidifier and tankless gas hot water heater. Home has been inspected and repairs made. 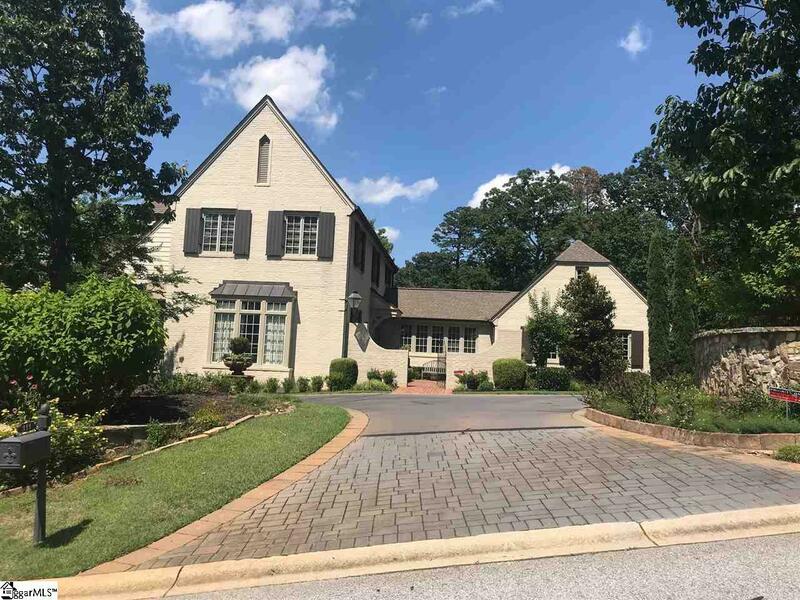 Just minutes from Downtown Greenville, Montebello is a private gated community offering many open air parks, clubhouse, pool, tennis, bocce ball, putting green, stocked fishing lake and breathtaking views. 2019 HOA dues are $1760.00. Lot Registration Fee $300.